Healthy, Energised and Clear Headed! The product of an optimum diet is a body so thoroughly nourished that it suffers no nutrient deficiencies, stays healthy, energised and clear headed. This is not the case with most people I meet. To do better, aim for 3 things in your food: Purity, Density and Diversity. My purpose with Healthelicious is to create restorative nutrition. If you are interested in making a start right away, here are some fast start options so you can launch your new journey to more physical energy and mental clarity right away. My NutriBlast Nutrition Powder is the most economical way I can deliver the widest variety of nutrients to you. Add a table spoon of it to coconut milk, yogurt, smoothie or juice to obtain 20% or more of the minimum daily requirement of over 20 vitamins and minerals. Fulvic Minerals are one of the ingredients in my top bars and powders. Without adequate minerals the body cannot utilise vitamins and we grow our crops in minerally deficient soils so these are essential to optimal health. 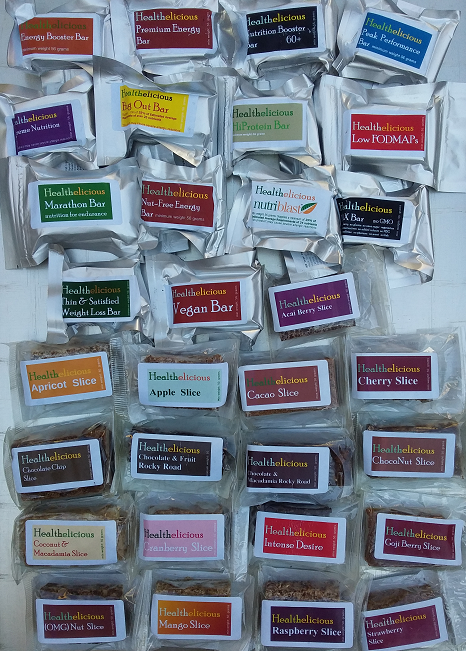 The Trial Pack of my bars and slices range contains 14 energy/nutrition bars and 17 tasty slices to satisfy the mid-afternoon hungries or provide energy when you are working, walking, hiking, running, cycling, canoing or sailing. The Trial Pack of my energy/nutrtion bars contains 14 different energy/nutrition bars. Most contain 25% or more of the minimum daily requirements for over 20 vitamins and minerals and 10% of the calories. They really are portable energy packs for your body. The Trial Pack of my slices contains 17 different tasty slices for you to satisfy the craving for something sweet without guilt. Containing no cane sugar, artificial sweeteners, GMOs or excitotoxins, you’ll be delighted at how healthy and tasty they are. My book, How To Live The Healthiest Life, is a compilation of the best I have read and learned over the last 10 years. No lightweight and great value for money, 2 volumes of over 700 pages of useful data you can apply immediately to improve you health potential. In 2008 my younger daughter was vegetarian. When she worked late she was provided dinner, but not always a vegetarian meal. If a meat meal was dished up she would go buy a candy bar instead. When I heard this, my instant thought was, “I can do better than that!” even though I was not the cook at home. So my objective was simple. To give her something healthier to eat than a chocolate and toffee bar when she was dished up a meat meal. So I did. It was an instant hit. Very soon I was making 6 kilos of this simple energy bar each weekend. I was perplexed. I wondered what’s a software developer doing giving people more energy than the food majors? What’s in this bar? To find an answer, I went online and searched the health benefits of each of the ingredients I used. What I learned blew me away. So I signed up for some health newsletters, bought a bunch more ingredients that I learned were great for the body and became an avid nutrition and health researcher and manufacturer. In the process I have learned a lot about the value of different foods to the body. 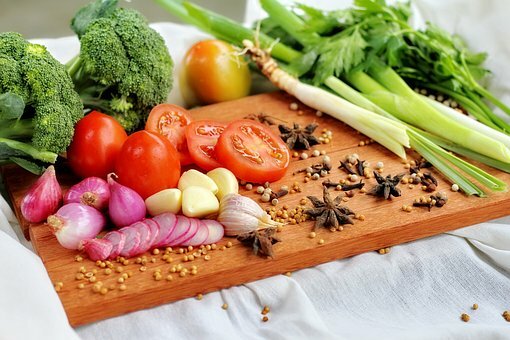 As I learned that our standard diet was leading us to low energy, mental fog, poor health and an early death, my objectives expanded from merely providing a healthier energy source to the aim of delivering restorative nutrition. 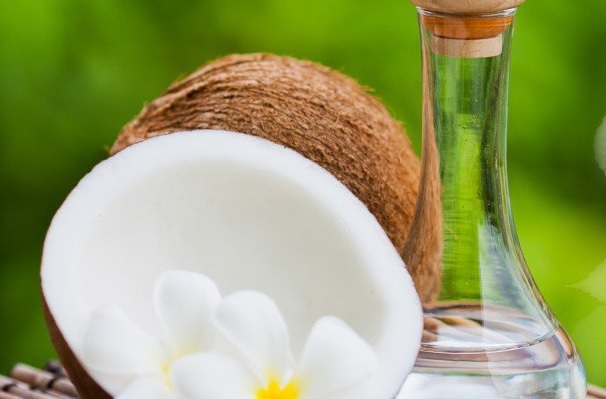 The theory was that by reducing the intake of toxins and increasing the quality of nutrients, the body would have the requirements to self-correct. Check out the ingredients I use and you will understand why. Sadly, most people are not interested in maintaining their health until they experience an adverse health event. I wish better for you! But the truth is that the reason many people are tired is that nearly everybody, with regards to optimal nutrition, is “running on empty”. Lack of energy is just one of the first indicators of under nourishment. Dr Robert Thompson in his book “The Calcium Lie II” says he has never had a patient do a mineral hair analysis whose results did not show them to be deficient in one or more minerals. That means 100% of us are not getting sufficient nutrients to optimally sustain our energy and health. And the datum that really blew me away was the fact that we cannot utilise vitamins if we lack adequate minerals! That tired feeling you frequently experience would probably vanish if you ate nutrient dense food every few hours. Would you agree that most of what you eat is made by companies more interested in their profit than your nutrition and health? And that the more nutritious your diet, the more energy you will have, the younger looking you will stay and the better your health? I am Kylie’s sister and she was the one who told me about Healthelicious. She swears by the Nutrition Booster bars so in my quest to feel more energised and just feel ’good’ on a daily basis, I thought I would give them a go. About 6 months ago I started on what I call a new food journey. I started to take a close look at what my family and I were consuming and have made many significant changes based on some wider research than what is recommended in mainstream media. So my journey now has brought me to Healthelicious and I look forward to seeing what happens and discovering more information. Thank you for the suggestion on where to start with the bars and I would love to give you feedback. Thanks again. I appreciate the email. Thought it was about time I shared some of experiences during my Healthelicious Bar and Slice challenge. I began slowly with the bars in the order you suggested and will attempt to talk about some of the more interesting results and experiences. On the taste side, I found them all mostly to be quite palatable. The hardest one for me to eat was definitely the Thin & Satisfied. I found it a little nasty to eat but the peppery taste and smooth consistency just made it edible for me. On the up side, I had half the bar at 10 am at work and it kept me awake all day, even on the train trip home where without fail, I always fall asleep! I however had so much energy I found it hard to wind down that night. It’s a dangerously energetic bar indeed. I also found the Bug Out Bar to be quite strong but palatable. All the other bars were pretty easy to eat and tasted fine. I ate the bars in halves for breakfast and found I went a good 3 hours before I felt hungry. This was great as previous to this I found I would eat breakfast and be hungry very soon after. In fact I found I would eat more and more just to stop feeling hungry. After finishing the bars, I have been taking half a Nutrition Booster Bar daily at breakfast and as with the other bars feel full and satisfied. I also find that my muscles have energy. This is most noticeable walking up and down the 48 stairs at the railway station daily and when I go to the gym after work after being awake for 15 hours. Previous to Healthelicious, I could feel my muscles always feeling empty and constantly feeling hungry no matter what I ate. Can you tell I am loving the bars? I have more energy and it’s awesome. I love that the nutrients I was obviously lacking could be squished so beautifully into a ’super bar’. Anyway.... Wow! Thanks for sharing Tom. How did our food supply get so bad that most of what we eat, even when we are eating ’healthy’ lacks the nourishment to keep us energised and healthy? Of all the medical schools in the US, less than a third of them have a single required course in nutrition. So it’s possible for a doctor to go through 6 years of medical school plus all their years of residency and never have a single course in nutrition. So what I am doing with Healthelicious is making it as easy as I can for you to add an ounce of nutritional prevention to your diet to deliver a pound more energy and better health! Well to make it far easier for you to have more energy and stay healthier for longer, I have created a range of gluten-free, high nutrition bars, slices, cakes, seed chips and greens powders filled with super-foods. So if having more energy and staying healthy of interest to you, chack out my range and order a trial pack so you can see what best suits you. If you are not yet of the viewpoint that you need to consume more nutrient dense foods, watch the doctor on this video: https://www.youtube.com/watch?v=IU6jVEwpjnE then come back to my site and order a trial pack of my bars, slices and powders. At the one hour mark he talks about the miracles of stem cells in helping repair the body. That’s why I have 7 stem cell boosting ingredients in my top bars and powders. Most manufactured food contains cane sugar, artificial colours, flavours and preservatives. Many also contain excitotoxins - toxic to the body chemicals added to excite the taste buds to make you want to eat more. It is engineered by food chemists and highly processed to be sugary sweet and cheap then packaged to look pretty and attractive. This way of eating is not what our bodies have existed on for thousands of years. I do not believe it is the right way to optimally nourish a body. I believe that it is poisonous and, eventually, deadly. If you eat manufactured, processed or fast food you are most likely malnourished, lethargic and struggling to maintain an optimum weight. You need nutrient dense food to deliver more energy and better health. My food is formulated to provide nutrition to run a body optimally. I add no GMOs, no excitotoxins, no artificial colours, no artificial flavours and no chemical preservatives. Many of my ingredients are organic. My grandchildren, my kids and my wife and I eat it. Don’t take my word for it, do your own homework. Read the unsolicited testimonials received from my clients. Read the ingredients and check it out for yourself. Order a trial pack and feel how your body responds to it. If you have a question, comment or feedback, I would love to hear from you. or feel free to call me, Tom, on 02 9552 3311. If you find it easier or faster to read than watch you can read the text of it here. My intention is to create a raw, healthy food bar that is so healthy for a body that it is the single best thing you can ingest for instant mental and physical energy, overall nutrition, immediate health and long-term disease prevention. So if I were forced to choose between eating anything else and one of my food bars, my food bar would always be the healthier choice. A standard diet will deplete your body of nutrients. A nutrient depleted body will get sick and die decades earlier. A standard diet is not good food. It does not nourish the body. Food should not just satisfy and energise your body, it should fully nourish your health. Great food would ehnace your mental and physical health and help prevent disease. The following quotes summarise perfectly why I am working to create the healthiest food in the world with my healthy food bars and nutrition powders. said Dr. C. Everett Koop, former US Surgeon General. said Hippocarates, the father of modern medicine, two and a half thousand years ago. Hippocrates also said “all diseases begin in the gut”. The more we learn now with all our modern scientific tools, the more we realize just how correct he was. “A society that views food as taste-bud entertainment rather than a basic of well-being was always bound to run into health problems. But with obesity now afflicting 300 million people and diabetes set to reach similar numbers within two decades, the problems borne of food abuse are emerging as more than a glitch. They amount to a profound loss of direction in our understanding of both food and medicine.” wrote Jess Halliday here in 2005. I cannot guarantee you good health or a long life. Even perfect nutrition cannot do that. What I can promise you is sensationally nutritious, gluten-free, raw, healthy food bars and snacks! You will be amazed at the wide range of nourishing ingredients with which I make my bars. Eating my healthy food bars will vastly increase the range of nutrients you deliver to your body. 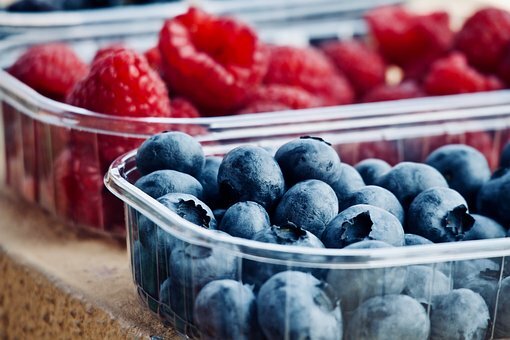 Even if you already eat a healthy diet you probably still do not provide your body’s remarkable repair power with the wide variety of nutrition it needs. Due to sustained, non-organic farming practices we have nutrient depleted soil. 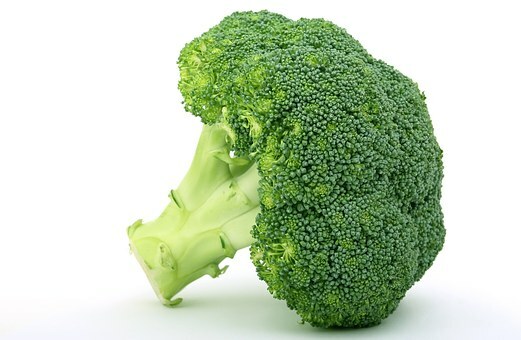 Many nutrients in vegetables have dropped by 40-90% in the last 60 years! And you don’t have the time, the kitchen space, the inclination or knowledge to source and mix hundreds of ingredients together just for yourself! Here is my gluten-free food bar range. Click on the picture to go to a page for that product to see more about it. My purpose in life is to understand. My secondary purpose is to bring others up to understanding. When I am underslept or hungry I don’t comprehend, reason or remember as well as I do when I am well slept and nourished. Not just fed, nourished. My primary motivation in researching nutrients is to create the healthiest foods possible. My motivation with Healthelicious food bars and slices, and my book, is to share the results of my research with you so you live a healthier, happier life too. I cannot live a happy life if those around me are sick and dying from diseases I am fortunate enough to have the knowledge to minimise my risk of suffering. Unfortunately even with all my research I cannot guarantee good health, even for me! What I can do is apply what I have learned to minimise the chances of ill health and disease and to make foods that do that for my family and you and me. Unfortunately there is a great deal of misinformation, half truths, opinions passed off as facts and outright lies in the food industry. Many lies are told by many people to get you to believe the poisons and toxins inserted into our highly processed and artificial food are beneficial. Nothing could be further from the truth. I don’t buy or eat what I don’t understand. Therefore I have provided a ton of information on this site so you can obtain an understanding of why I am attempting to make the healthiest food in the world. If you are too busy for that right now and you just want to cut to the chase, click here to order a trial pack of my bars and slices so you can feel the difference spectacular nourishment makes to a body. If you have a question for which you cannot find an answer here, drop me a line or call me. I am my best customer. Most days I eat at least a top bar from my range. What I want for me is natural nutrition for instant and lasting energy and extreme wellness. My sensationally healthy snacks give me a much wider range of nutrients than I would get otherwise, despite eating a reasonably healthy diet. I want it to taste at least acceptable if not delicious, be filling and convenient to eat wherever I am. That’s why I personally choose to eat the Bug Out Bar for my mid-afternoon snack. There is nothing light and fluffy about my healthy snacks. They are concentrated, dense and filling. I add no artificial colours, flavours, preservatives, fillers, gums, padding or bulking agents. The ingredients are chosen primarily for their nutritional characteristics. My healthy food bars are then made according to an exact recipe to provide a uniform taste, texture and consistency. I have had more than one person report my bars give a fairly instant kick in the energy department. Another reports she can still feel energised 12 hours after eating one! Yet others cannot eat one after 4:00 pm otherwise it will keep them up at night. So I know there are valuable nutrients in my bars that many people are missing from their diets.